Heat the oil in a large pan. Add the eggplant, cut side down. Add the water and cover. 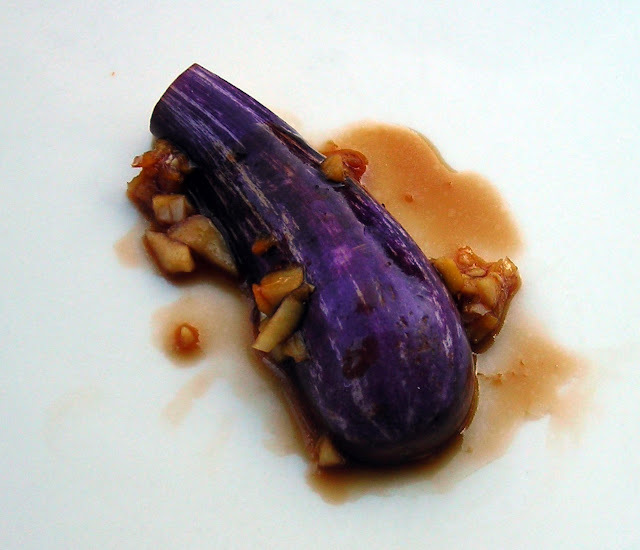 Cook about 2-3 minutes or until the eggplant is softened but not fully cooked. Meanwhile, whisk together the soy sauce, ginger, garlic, sake and pinch of cornstarch and a pinch of sugar. Pour over the eggplant and recover. Cook about 5 minutes or until the eggplant is soft. Serve as a side dish. 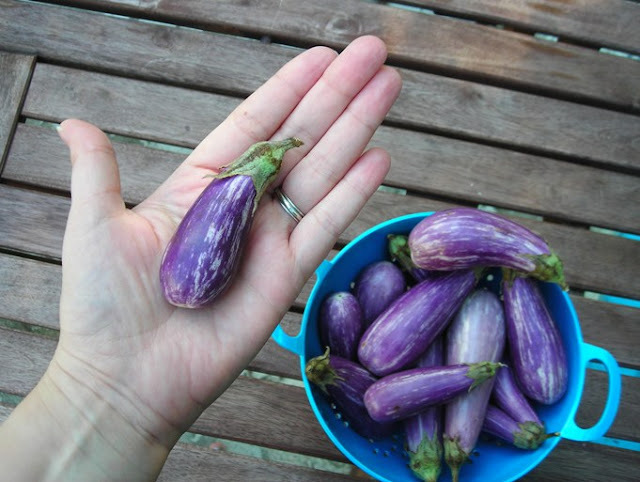 Who could resist buying a vegetable as cute as the fairy tale eggplant? No one I'd care to know. I wanted to make something to show off their diminutive size so a quick side dish seemed in order. I really liked how it came out-spicy but not hot. The perfect accompaniment to some marinaded grilled steak and rice.